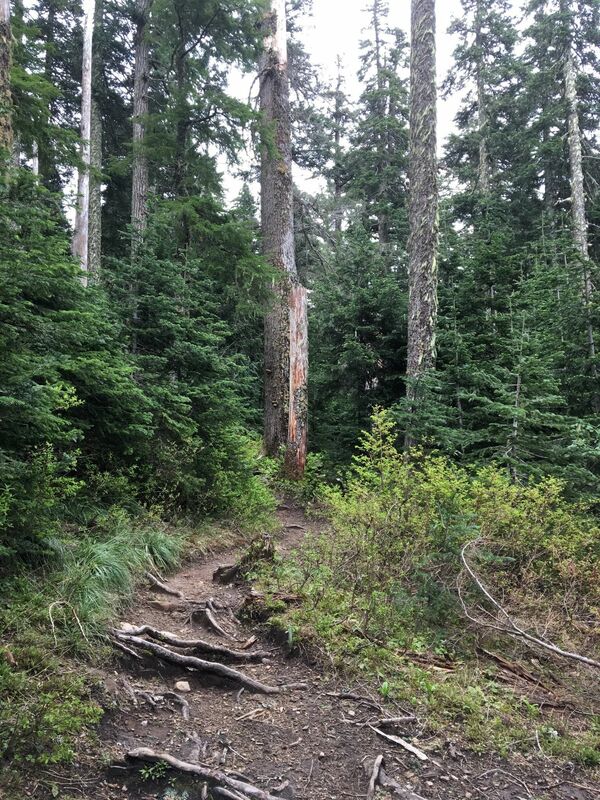 Top Spur Trail is a 0.9 mile moderately trafficked out and back trail located near Rhododendron, Oregon that features a great forest setting and is rated as moderate. The trail is primarily used for hiking, walking, nature trips, and birding and is best used from March until September. Dogs are also able to use this trail but must be kept on leash. 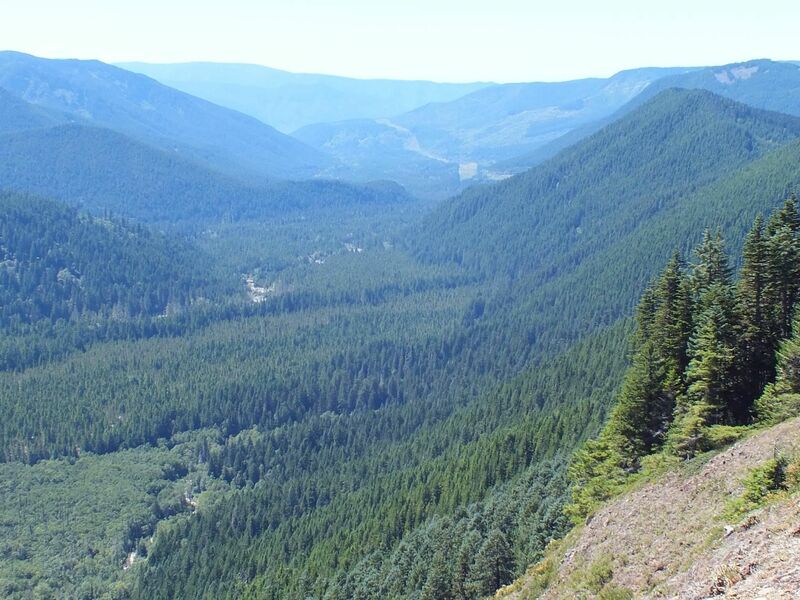 Directions from Sandy: Travel east on Highway 26 to the Zigzag Ranger Station. 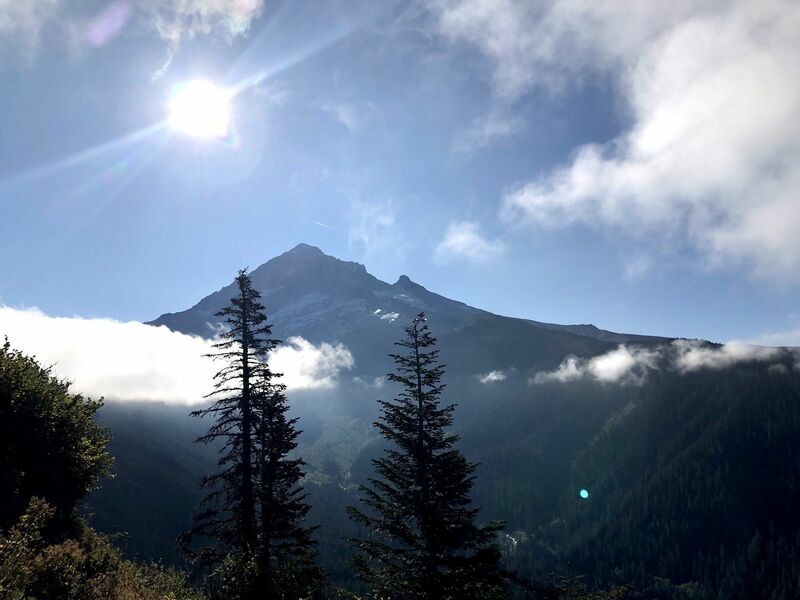 From here, head north to Lolo Pass Road and follow it for four miles to its intersection with Road 1825 and veer right. In approximately one mile, veer left onto Road 1828. Follow 1828 for about 6.5 miles, then turn right at the intersection with Road 1828-118. The roads are well marked from 1828 to the trailhead. Please park head in at the trailhead. It has been said already, but the flies were swarming in a plague-like manner. We bathed in bug spray (not literally) and it did nothing. They actually seemed to enjoy it! 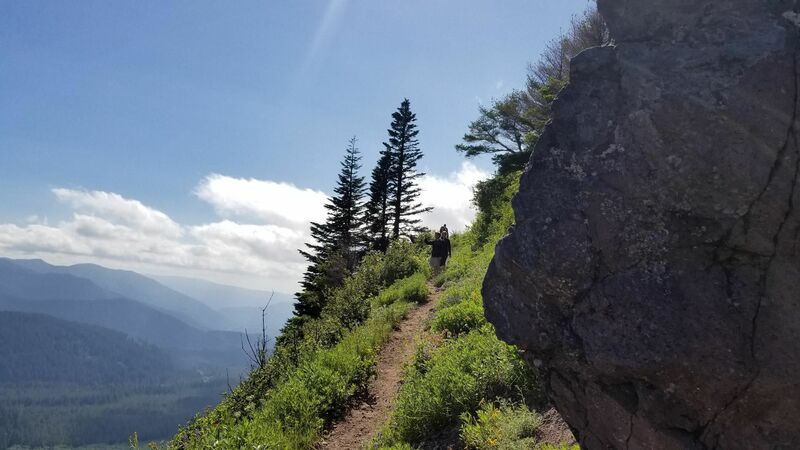 We unfortunately misunderstood the kind woman at the visitor's center when she told us about this (in her words) "multi-generational, multi-skill-level, easy hike to amazing views!" Well, not great for my 70-year-old in-laws, and no views on the Top Spur trail...have to continue on to the significantly longer Timberline trail for that. Definitely a low point in our week-long adventure to the Pacific Northwest. I LOVED this hike! The views are amazing, you just need to look at the map and choose the right trail! So scary on the side of the mountain, but worth the views of Mt Hood! Went to Oregon on vacation and wanted to explore the Mt. Hood area. Based on the reviews and everything from multiple sites, I decided on this trail. However, was disappointed for many reasons. 1. the flies were so bad, I thought it was one of the plagues. 2. there is NO scenic views of Mt. Hood. 3. this was the harder than moderate. Got to the trailhead Saturday afternoon around 2PM and started hiking to McNeil point to spend the night as our goal. We soon encountered the worst swarming of »BITING« flies I have ever experienced in my life. They were unrelenting and unphased by bug repellent. The entirety of the Top Spur trail was completely plagued by the pests. It wasn’t until we got above tree line on the McNeil Point trail did we find any respite. If not, we would’ve definitely bailed. The flies didn’t seem as bad coming back down the trail which could’ve been due to our faster pace because they still did swarm if we stopped or slowed down at all. Don’t think I’ll be coming back to do this trail again anytime soon. This is a quick way to spectacular views. Continue on to McNeil Point if you have the time. As Rachelle Lee mentions below, the road is still covered with a decent amount of snow – but it's much more passable now. We had to park ~0.7 miles from the trailhead, but it's not exactly a difficult walk in. We weren't, however, prepared for the amount of snow on the trails themselves. 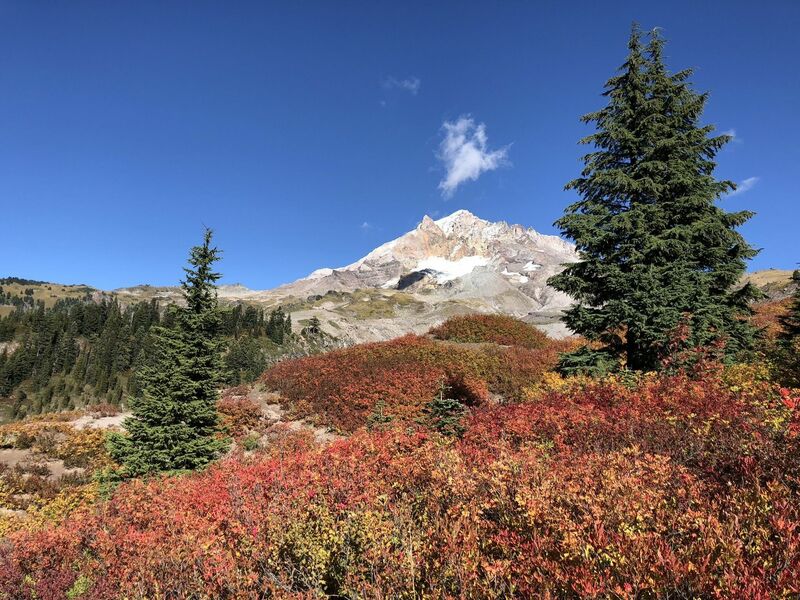 We'd intended to do the Top Spur -> McNeil Shelter -> McNeil Point hike, but Timberline Trail #600 still has deep snow that makes for rough going, and significantly obscures the trail. We're newbies, but we managed to use the topo maps to get a few miles in before things went somewhat awry with my hiking partner's shoes. We managed to find our way off of Timberline Trail #600 over to the Pacific Crest Trail, which is supposedly closed at some point that we didn't run into. Views from the PCT were absolutely breathtaking, and it felt very rewarding after the slog through the snow. 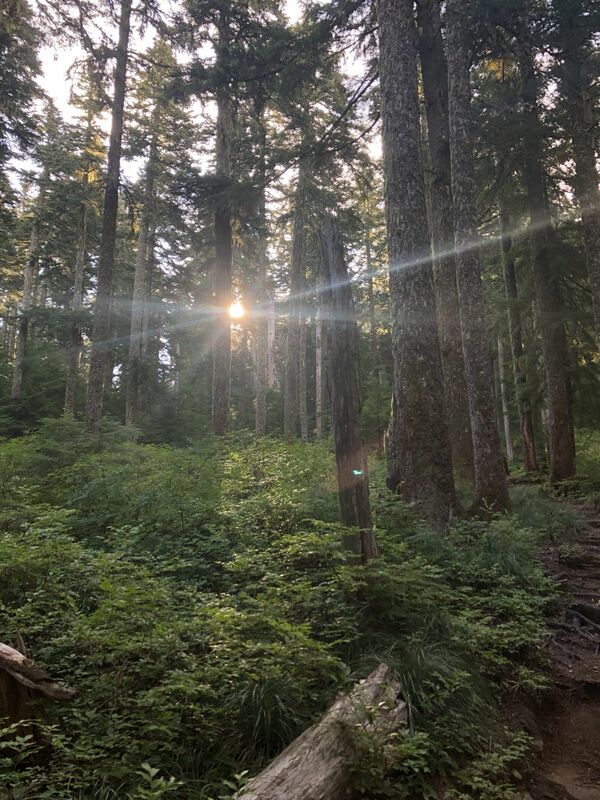 Most disheartening wasn't the snow or the fact that I'd chosen today to train with a 40 lb pack, though: while on the PCT section heading back toward the trailhead, I found two deer ticks crawling up the outside of my pants, and one on my bag. Make sure you're wearing long pants and boot socks at a minimum, and check for ticks when you get back to your vehicle. Lyme disease can literally take years to recover from! The road is still covered in a good amount of snow. Had to park a bit from the trailhead because our 4x4 wouldn’t manage. Due to lack of time we hiked through the snow for 45 minutes and had to turn around. So we didn’t make it to the trailhead. Looking forward to being able to complete in future. It was really nice hike! 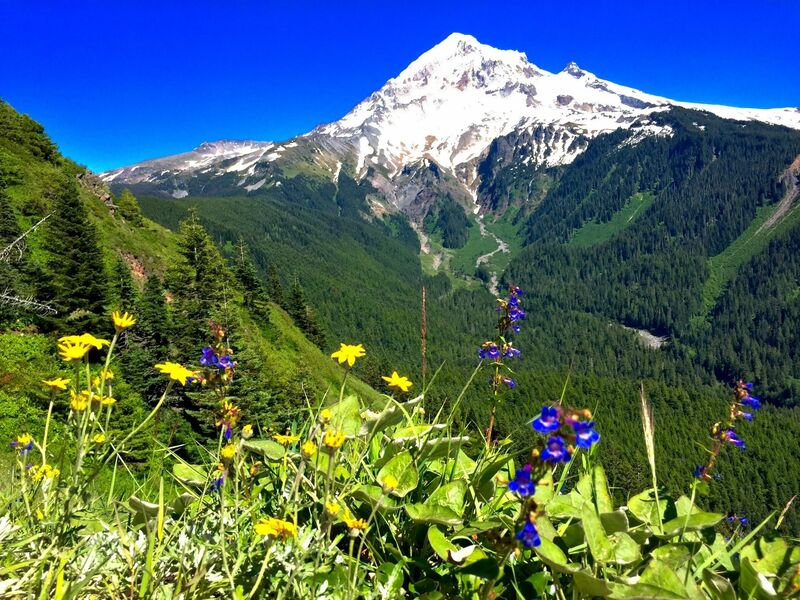 I suggest hike to bald mt lookout breathtaking views of Mt hood mos definitely will do this hike again. amazing views after a short hike. Then you can hike longer to other views. Great hike. We also went to Mt. Baldy lookout. Nice 2.5 mile hike. Short, decently steep hike with killer mt. Hood views. Totally worth the view up on top. Trail has lots of tree trunks to step over on lower trail but once to the top it levels out a bit. View sight is by steep cliffs but not to bad. It was a good hike, but super warm. It was in the 80's. Portland hit 100F today. I should have read the reviews first. I didn't realize this was just a short trail to take you to other trail intersections. Also, the Top Spur trail head coordinates are WAY off. It took me to a spot along the road that was over a mile away. After initially looking around that area for a while we almost gave up on finding the trail head. Eventually we drove down the road quite a ways and then saw a sign for the official trail head. Update: I tried to submit new coordinates, but not sure when they will be active. Amazing fun hike, with spectacular views!!!.. 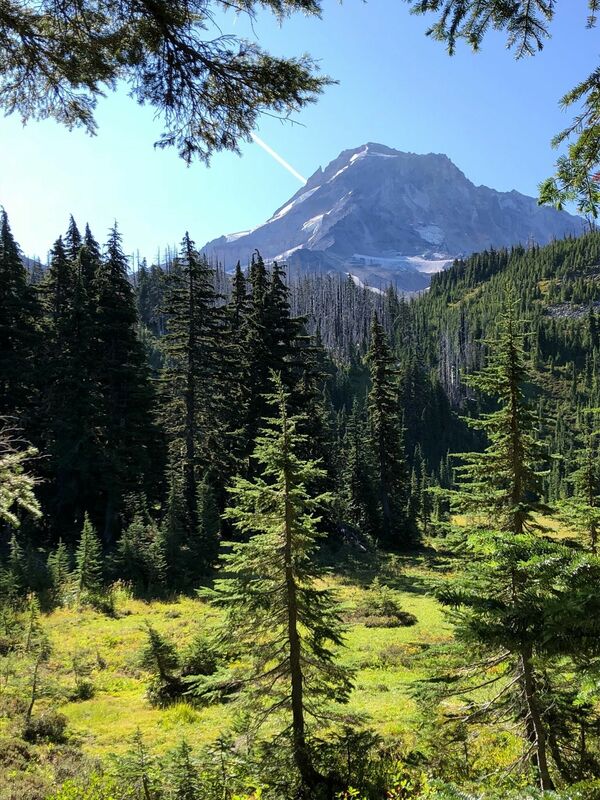 Unbelievable views of Mt Hood. 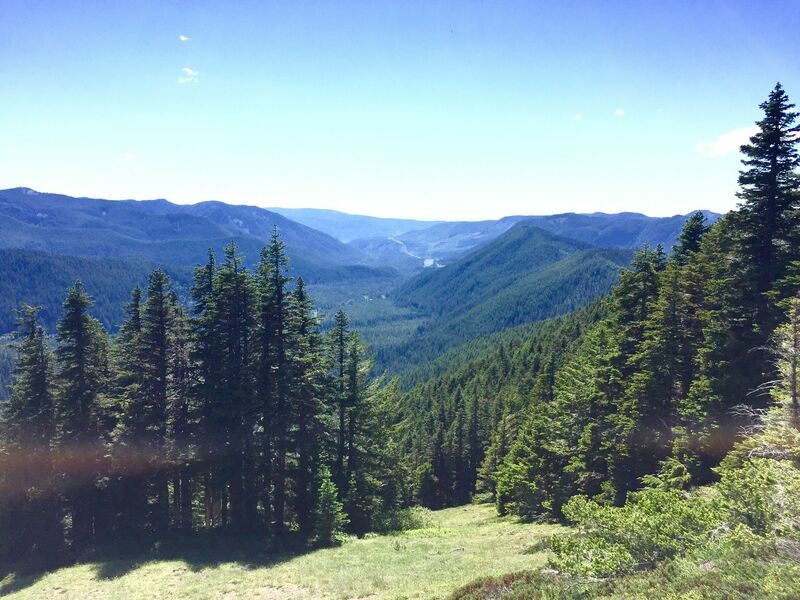 Very short trail from LOLO pass rd. Parking is difficult in peak season though. 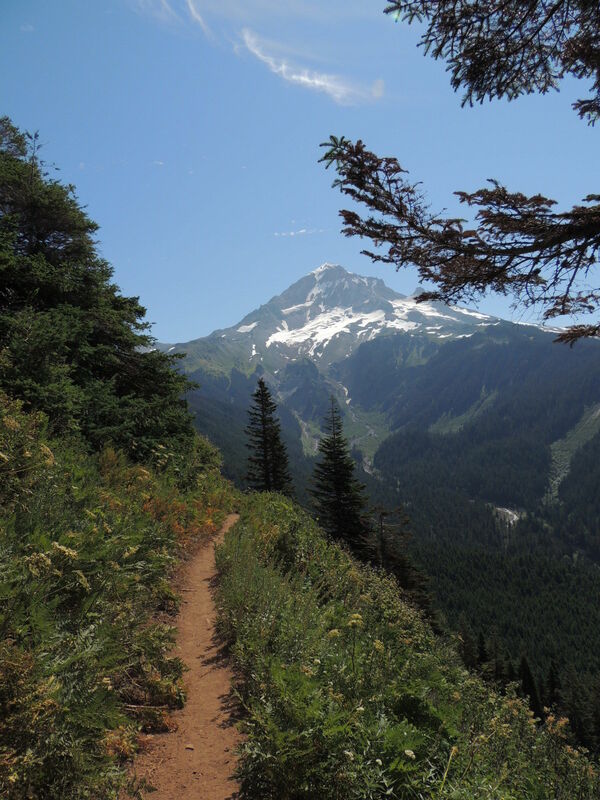 Starting at the Top Spur Trailhead, this short trail takes you to ridge trail leading to McNeil Point and Cairn Basin. Beautiful views of the north side of Mt. Hood. Wildflowers are gorgeous in July. 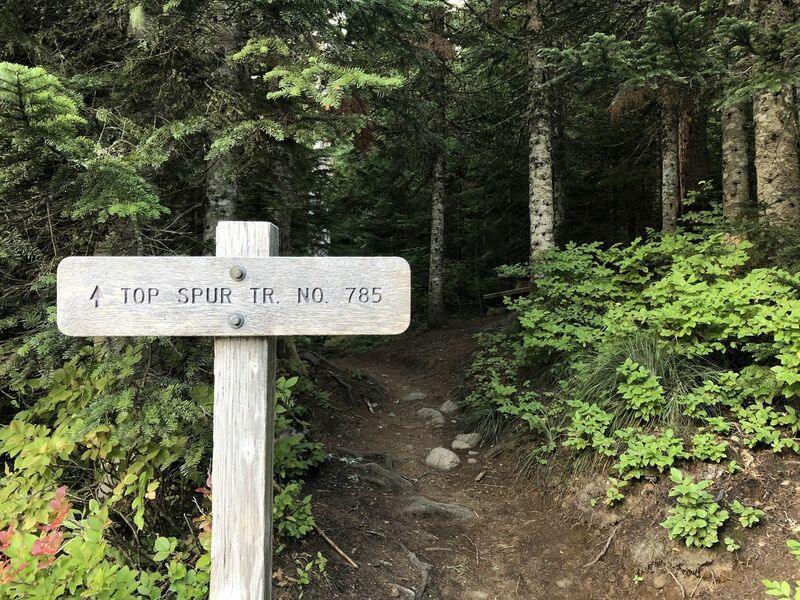 Top Spur is really just an extended trailhead that takes you to a junction with 4 longer more fabulous trails, two being routes following the Pacific Crest Trail. 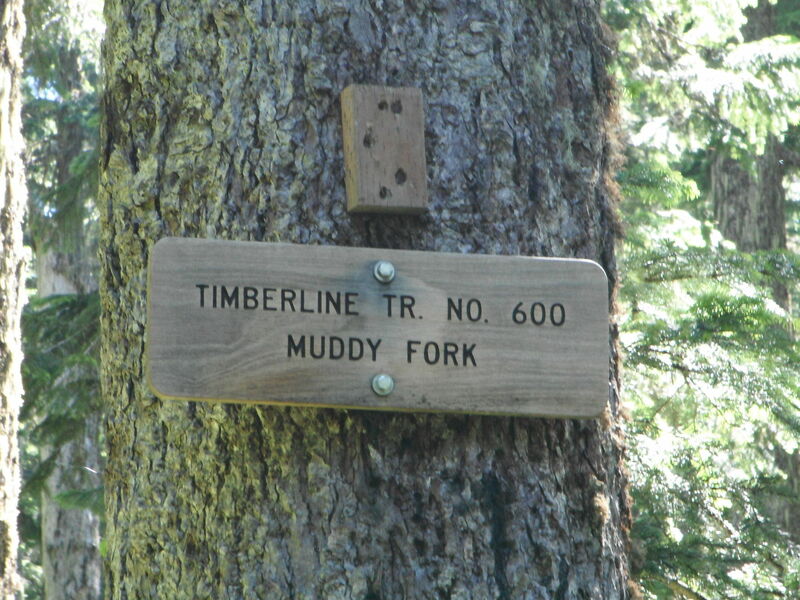 We used Top Spur to get to the Muddy Fork portion of the Timberline trail and it was amazing. 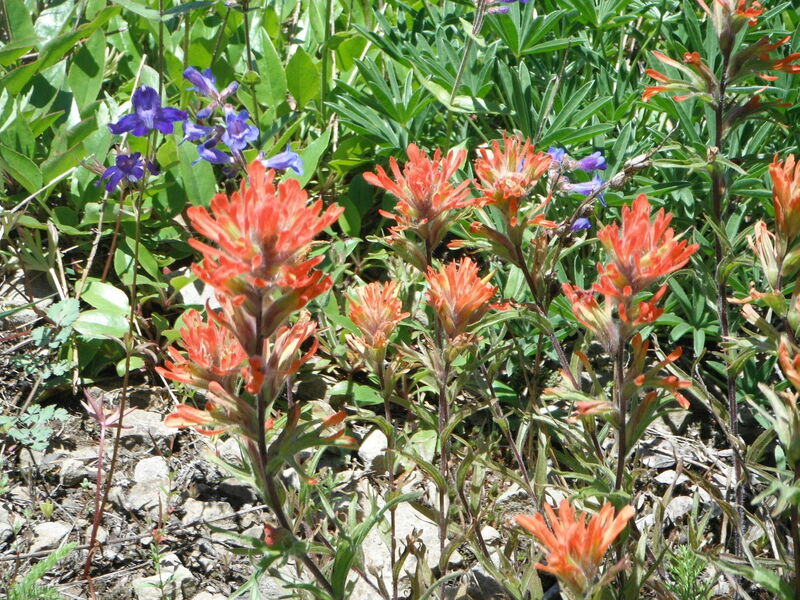 With a long chilly spring this year and such a mild summer our late July hike was filled with wildflowers. Truly breathtaking. Unfortunately, parts of the Muddy Fork were washed out and we turned back after about 2 miles in. Hope to do this one again next year.